Can You Give God 7 Days? 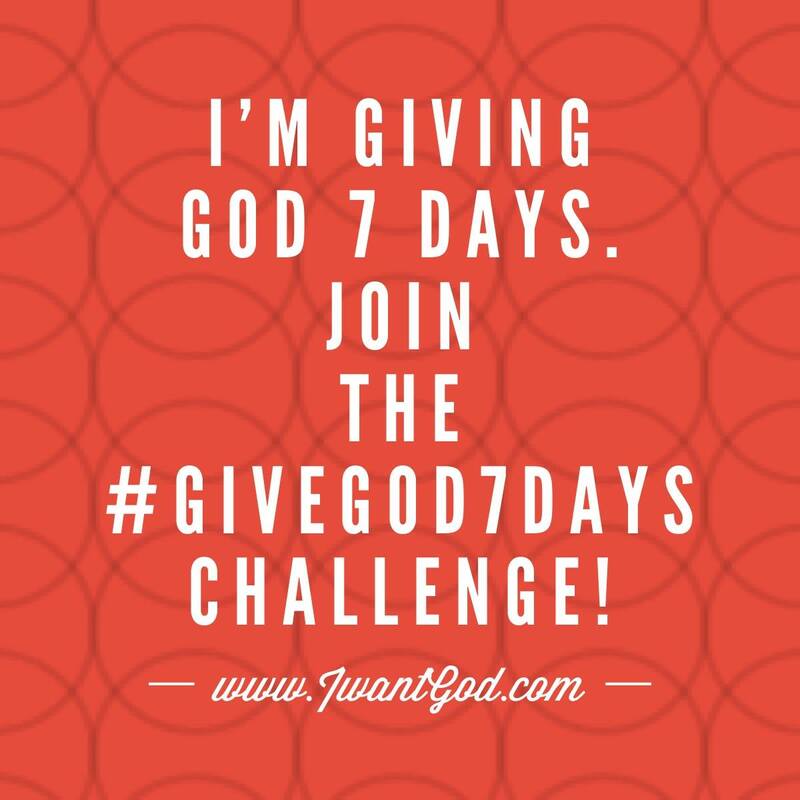 I invite you to the #givegod7days challenge! Click, here, to accept this challenge, if you truly want God. It’s your choice, He will never force you. You will see a place mid-way down the page to submit your name and email address to receive the downloadable in your email. I pray each of you will join us, tomorrow, Sept. 15th. 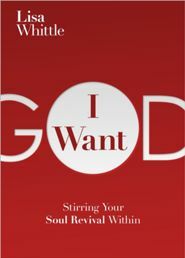 This entry was posted in Spiritual, Women and tagged Give God 7 Days, I Want God, Lisa Whittle, Revival by fromthecommittedheart. Bookmark the permalink.